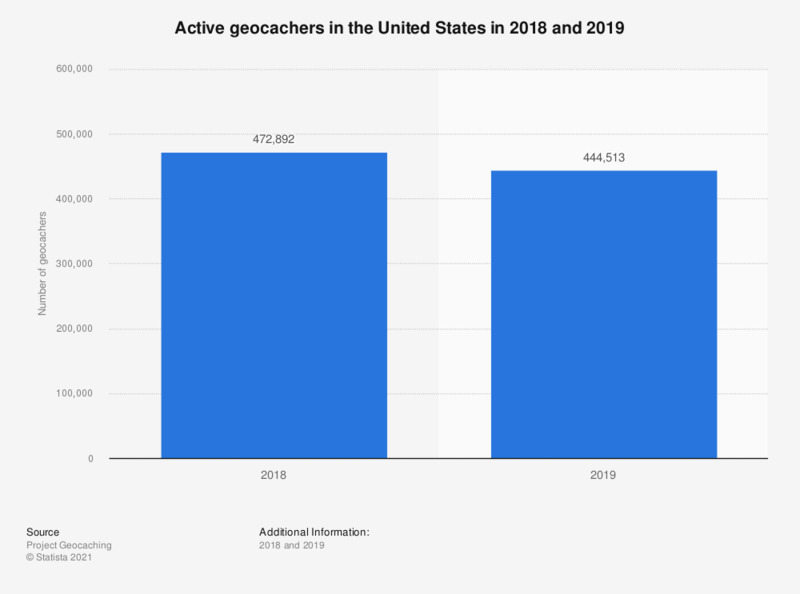 This statistic shows the number of active geocachers in the United States from 2013 to 2018. There were around 441,549 geocachers in the U.S. in 2018, down from 465,834 participants in 2017. Numbers accurate as of November 5, 2018.